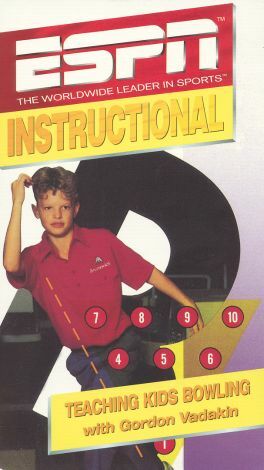 In ESPN Instructional: Teaching Kids Bowling With Gordon Vadakin, professional bowler Gordon Vadakin, who also specializes in coaching children, offers tips for parents who want to teach their kids how to bowl. With the help of Olympic bowler Mark Lewis, Vadakin teaches parents how to convey both a smart playing strategy and rules of good sportsmanship to their little ones. Vadakin emphasizes the importance of having fun.